Peter Backx received his B.Sc., M.Sc. and DVM from the University of Guelph in biophysics, chemistry and veterinary medicine. He subsequently completed his Ph.D. from the University of Calgary in cardiac physiology. After receiving postdoctoral training at Johns Hopkins University, Peter joined the Department of Medicine at Johns Hopkins University as an Assistant Professor in 1991. In October 1993, Dr. Backx moved to the Department of Medicine at the University of Toronto as an Assistant Professor and a Staff Scientist at the University Health Network (Toronto General Hospital). Peter remained at the University of Toronto until December 2015 when he retired from the Departments of Physiology and Medicine. He is now an Emeritus Professor at the University of Toronto. 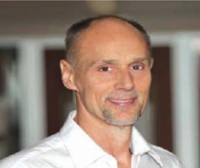 Currently, Dr. Backx is a Senior Scientist at the University Health Network and a Professor of Biology at York University where he also holds the Canada Research Chair in Cardiovascular Biology. Dr. Backx is a recognized expert in cardiac mechanics, heart failure and arrhythmias. His research focuses on the role of ion transport, ion channels and myocardial signaling in the initiation and progression of heart disease with a particular interest in atrial fibrillation. He holds a patent on tissue specific drug delivery and has published over 200 peer reviewed articles, many in the top tier journals like Cell, Nature, Nature Medicine, Journal of Clinical Investigation and Circulation Research. His work has been cited over 14,000 times, with over 5600 in the last 5 years. Dr. Backx has delivered over 180 distinguished invited lectures at the national and international level. Dr. Backx has obtained more than $14M in research funding as a principal investigator or co-investigator within the last ten years, including 3 CFI awards. He has also supervised 26 graduate students (13 PhD and 13 MSc) and 17 post-doctoral fellows. Many of his trainees hold academic and industry positions worldwide. Lakin R, Guzman C, Izaddoustdar F, Polidovitch N, Goodman JM, Backx PH. Changes in heart rate and its regulation by the autonomic nervous system do not differ between forced and voluntary exercise in mice. Frontiers in Physiology 9:841, 2018. Liu J, Bayer JD, Aschar-Sobbi R, Waucop M, Spears D, Gollob M, Vigmond EJ, Tsushima R, Backx PH, Chauhan VS. Complex interactions in a novel SCN5A compound mutation associated with long QT and Brugada syndrome: Implications for Na+ channel blocking pharmacotherapy for de novo conduction disease. PLoS One 13(5):e0197273, 2018. Lee JH, Protze SI, Laksman Z, Backx PH, Keller GM. Human Pluripotent Stem Cell-Derived Atrial and Ventricular Cardiomyocytes Develop from Distinct Mesoderm Populations. Cell Stem Cell 21(2):179-194, 2017. Laksman Z, Lin E, Wauchop M, Protze S, Aschar-Sobbi R, Izaddoustdar F, Lee J, Yang W, Shafaattalab S, Gepstein L, Tibbits GF, Keller G, Backx PH. Scientific Reports, 7(1):5268, 2017. Protze SI, Liu J, Nussinovitch U, Ohana L, Backx PH, Gepstein L, Keller GM. Sinoatrial node cardiomyocytes derived from human pluripotent cells function as a biological pacemaker. Nat Biotechnol. 35:56-68, 2017. Cordeiro JM, Calloe K, Aschar-Sobbi R, Kim KH, Korogyi A, Occhipinti D, Backx PH, Panama BK. Physiological roles of the transient outward current Ito in normal and diseased hearts. Front Biosci (Schol Ed). 8:143-59, 2016. Panama BK, Korogyi AS, Aschar-Sobbi A, Oh Y, Gray CBB, Gang H, Brown JH, Kirshenbaum LA, Backx PH. Reductions in the cardiac transient outward K+ current Ito caused by chronic ß-adrenergic receptor stimulation are partly rescued by inhibition of nuclear factor kappaB. JBC 291(8):4156-65, 2016. Aschar-Sobbi R, Izaddoustdar F, Korogyi AS, Farman GP, Dorian D, Simpson JA, Tuomi JM, Nanthakumar N, Cox B, Dorian P, Backx PH. Increased atrial arrhythmia susceptibility induced by intense endurance exercise requires TNFα. Nature Communications 6:6018-6028, 2015. Chung YW, Lagranha C, Chen Y, Sun J, Tong G, Hockman SC, Ahmad F, Esfahani SG, Bae DH, Polidovitch N, Wu J, Rhee DK, Lee BS, Gucek M, Daniels MP, Brantner CA, Backx PH, Murphy E, Manganiello VC. Targeted disruption of PDE3B, but not PDE3A, protects murine heart from ischemia/reperfusion injury. Proc Natl Acad Sci U S A. 112(17):E2253-62, 2015.